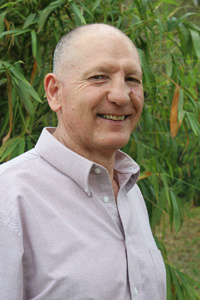 Jacques R. Thomet, 7th Dan, Founder and Chief Instructor of TENSHINDO, has over 50 years of practice as a student and teacher of different styles of martial arts. He also has degrees in acupressure and related healing techniques. This combination of skill mastery is extremely unusual in the West, for it unites two very different approaches to physical and mental health. Using his unique combination of skills, Thomet devised an original approach that he calls TENSHINDO. TENSHINDO can be learned and practiced at any age, and it is customized for the needs and level of the individual student. It is not just for people seeking alleviation of mental and physical ailments (which must be treated by one-on-one sessions) but also for healthy individuals seeking to improve their mental skills, physical fitness, flexibility, reflexes and sense of balance. 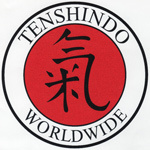 TENSHINDO is also a useful technique for self-defense. This improvement in mental and physical health is believed to lead to a longer and healthier life. TENSHINDO is a unique blend of physical arts ranging from self-healing exercises, self-improvement conditioning and meditation preparation. It's based on the ancient principle of qi (pronounced chi) - also called prana in eastern India and ki in Japan. Qi means vital energy. According to theory, this energy flows in channels called meridians. These meridians are the true source of one's sense of well-being, as they influence one's emotions and the conditions of the internal organs. TENSHINDO for self-healing is based on this principle of the flow of vital energy through the body. Research has shown that there is a link between Qi and memory, physical vitality, and states of consciousness. As a martial art it develops a heightened physical awareness and an ability to control one's emotions and actions. Further, it should be emphasized that TENSHINDO, with its use of meridians, is much more valuable than more common, less-focused martial art techniques. TENSHINDO uses a combination of styles that can be adapted to the specific needs of the learner. Classes are offered on one-on-one and as small group sessions. Both are available for different age groups and levels of physical ability. It is also possible to have family group instruction. No previous experience is needed. Classes are one hour in duration. Sensei Thomet is also available for seminars and his work training elite martial artists for competition is well-respected.